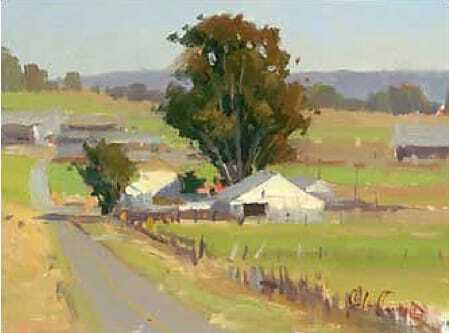 On Friday afternoon of Sonoma Plein Air week, the artists each bring one painting to be judged by their peers. Votes are cast and the winning painting is awarded the Artists' Choice Award. These paintings, considered each artist's personal best of the week, are made available for purchase by Silent Auction at the Gala fundraiser on Friday evening.